It is a balmy 57 degrees outside, and even though the weather hasn’t quite made up its mind, the leaves have decided that autumn in Maine is here. Currently, I am spending A LOT of time readying Winterberry Farm for the annual church harvest party. I have been painting the house, mowing, and moving any and all unsightly debris from view. 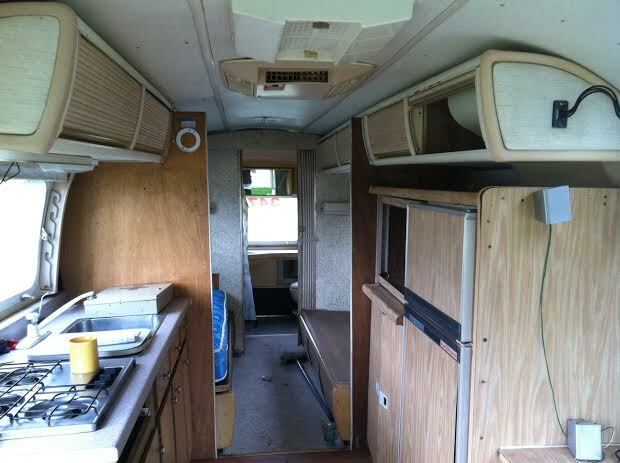 Also, I have put the Scout, the boat, and the new Airstream inside the pee warehouse for the winter. Yes, I was quite proud of myself for backing the metallic beast into place in the building, but unfortunately no one was around to witness my incredible maneuvering skills. But, the Airstream is in the building, and it didn’t get there by itself! Anyway, the Airstream just happens to be the topic of today’s post. 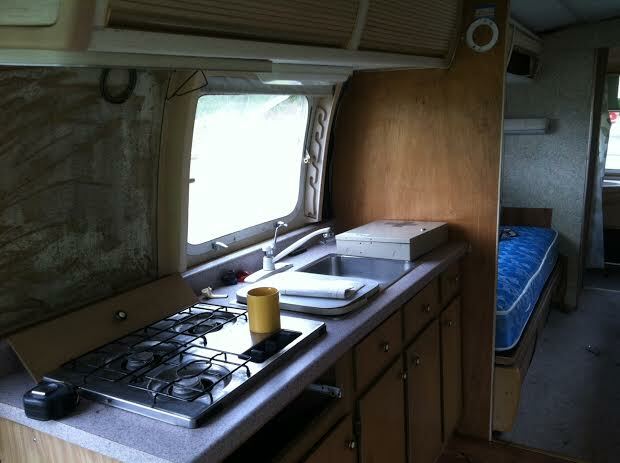 As you may recall, I have completely renovated an Airstream in the not so distant past. Well, I thought that I was going to have more ready access to that particular camper when I was done with it than I actually did. 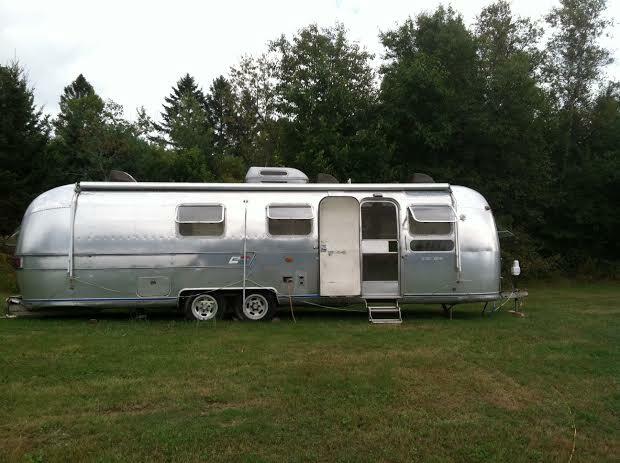 So, this summer began the hunt for an Airstream of my very own. I soon came to discover that many other baby boomers have also decided that the “silver bullet” campers are desirable, and availability is limited. I spent hours scouring Craigslist, perusing the latest Uncle Henry’s(Maine’s very own paper Craigslist), and ramming back roads in search of THE one that I could refurbish and make my very own. Needless to say, this search led to a few adventures. One example involved a trip in the pouring rain to a remote wooded lot where we were to meet a man who was selling the camper for a friend. Well, when my wife bailed out of the truck in the torrential rain and sought refuge in the sorely neglected camper to wait for the man to show up, the seemingly abandoned Airstream was actually occupied by the very inebriated “friend”! Being the gracious person that she is, my wife tried to make small talk as she backed slowly towards the door. No cash changed hands that day! Long story short, eventually I was able to secure at an excellent price a camper that is actually bigger than the one I refurbished previously. So, when the snow starts flying and my outside activities are limited, I plan to spend a good deal of time lovingly turning this giant aluminum can on ce again into a thing of beauty as I daydream about warm summer breezes and reading by the campfire. Posted on October 1, 2014 by The PeeMan. 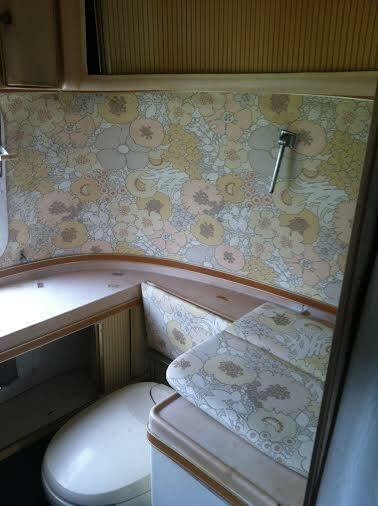 This entry was posted in Airstream refurbish, PeeMan Projects and tagged airstream pictures, airstream refinish, airstream refurbish. Bookmark the permalink.